On a cool, sunny morning last October, as tens of thousands of runners raced east toward downtown, I was watching the Chicago Marathon from eight floors up, in a hospital room at Rush University Medical Center. Instead of attempting what would have been my 11th 26.2-miler, I was being treated for atrial fibrillation, a type of irregular heartbeat — or arrhythmia — that made it tough for me to run very fast, or very far. I was diagnosed the previous spring, after weeks of struggling to run the 8:30-minute-per-mile pace that had become routine for me over the last 10 years. Even during relatively brief, three-mile outings, I had to stop every few minutes to catch my breath. So I went to see my primary care doctor at Rush, who ordered the electrocardiogram that immediately revealed my arrhythmia. To be honest, I wasn’t all that surprised. 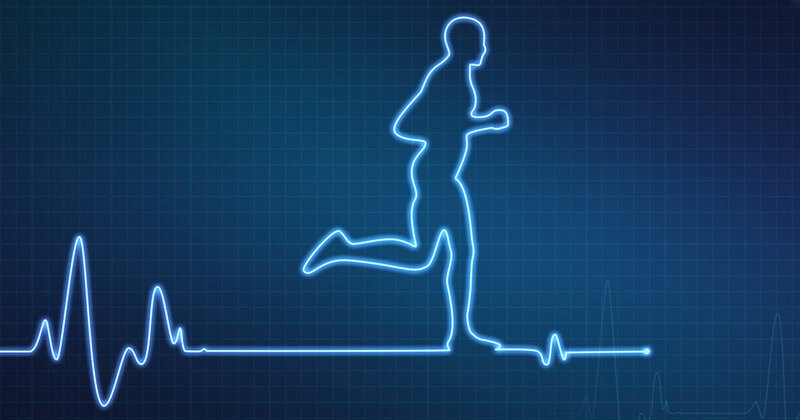 I had suspected for several years, particularly after long marathon training runs, that my heartbeat was a little off. But even though I’m pretty health-conscious — maybe even borderline hypochondriac — I failed to appreciate that it could be something serious. So I guess I’m lucky my atrial fibrillation got bad enough to warrant that trip to the doctor’s office, because a lot of people don’t know they have it. And it can be life-threatening. Afib — which affects an estimated 2.7 million Americans — dramatically increases the risk of stroke if left untreated. The irregular heartbeat allows blood to pool in the heart and potentially form clots, and those clots can travel to the brain and cause a fatal or disabling stroke. In fact, about 15 percent of people who have strokes also have afib. After the diagnosis, I lined up an appointment with Kousik Krishnan, MD, an electrophysiologist at Rush who specializes in treating heart rhythm disorders. As it happens, he’s also a marathon runner, so he understood my desire to run and stay active. He immediately put me on Eliquis (apixaban), an anticoagulant — or blood thinner — meant to prevent the dangerous clots from forming. Several weeks later, after the risk of clots had diminished, I checked in for an outpatient cardioversion procedure. While I was under sedation, the doctors gave my heart a shock to essentially jolt it back into so-called sinus, or normal, rhythm. It was quick, it was painless, and it worked — but only for a few days. So we went to plan B: an antiarrhythmic drug and a beta-blocker to medically regulate my heartbeat, followed by another cardioversion procedure several weeks later. Again, I went back into sinus rhythm. Again, I fell out of it a few days later. Finally, in October, we tried yet another antiarrhythmic drug called dofetilide, or Tikosyn, but this one required three very dull days in the hospital so I could be monitored while it was administered. Not long after the first dose, my heart rhythm shifted back to normal, and it has remained there pretty consistently ever since. I’ve talked to Dr. Krishnan about cardiac ablation — a procedure that essentially scars the tiny parts of the heart that are sending out abnormal electrical signals. It’s increasingly common and frequently effective. But while it’s considered minimally invasive, it’s still a major procedure that shouldn’t be taken lightly. Since my medication’s working, and I was doing pretty well even without it, I’m passing on ablation for the time being. So the Chicago Marathon is coming up again next month, and after training hard all summer (the doc said it’s OK, Mom), I plan to be among the 45,000 runners at the starting line. I still experience rare moments during long runs when the afib kicks in and I have to slow way down or stop and walk, so it’s possible I won’t feel like finishing. But it’s great to know I can try. Thurston Hatcher is a Web editor and social media manager at Rush University Medical Center in Chicago. This entry was posted in Exercise and Physical Fitness, Heart, Men's Health, Patient Stories and tagged afib, arrhythmia, atrial fibrillation, Atrial Fibrillation Awareness Month, Chicago Marathon. Bookmark the permalink.